Summer 2015 sees the long awaited return of one of Ibiza's most popular nights! 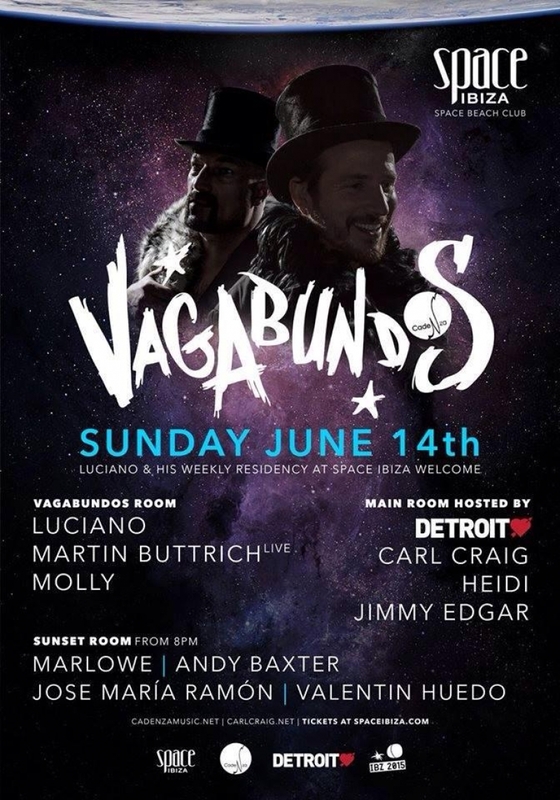 Luciano and the Cadenza crew bring back Vagabundos to Ibiza in style with a huge line up to boast, featuring Heidi, Carl Craig, Jimmy Edgar, MOLLY, Valentin Huedo and of course Ibiza legend Luciano! We're extremely excited to announce our very own Andy Baxter will be joining the line up, playing on the sunset terrace. After a year off, where they were sorely missed, its great to see Vagabundos return and with the combination of Space's famous Funktion-one sound system we feel this could be an exciting year for Cadenza.